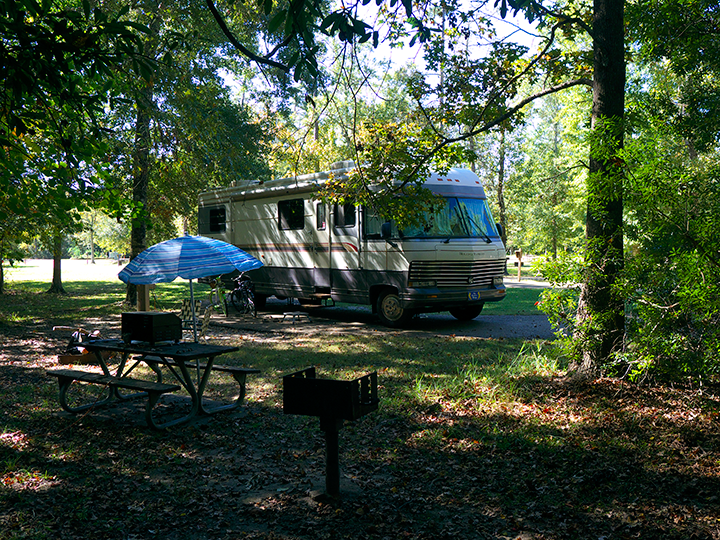 Fontainebleau State Park, Mandeville, La. 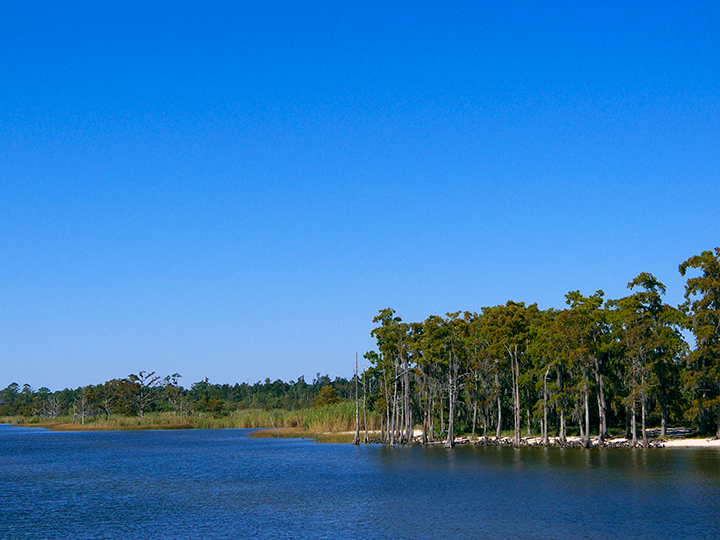 Fontainebleau SP is an expansive park on the north shore of Lake Ponchartrain just east of Mandeville. Of note is the Tammany Trace Rails-to-Trails, which runs through the park. The park contains 121 W/E campsites, five FHU sites and 37 tent sites and is suitable for big rigs. We had s site on the east side with good satellite tv reception. A strong WIFI signal was available throughout the campground but unfortunately it had no connection to the internet. 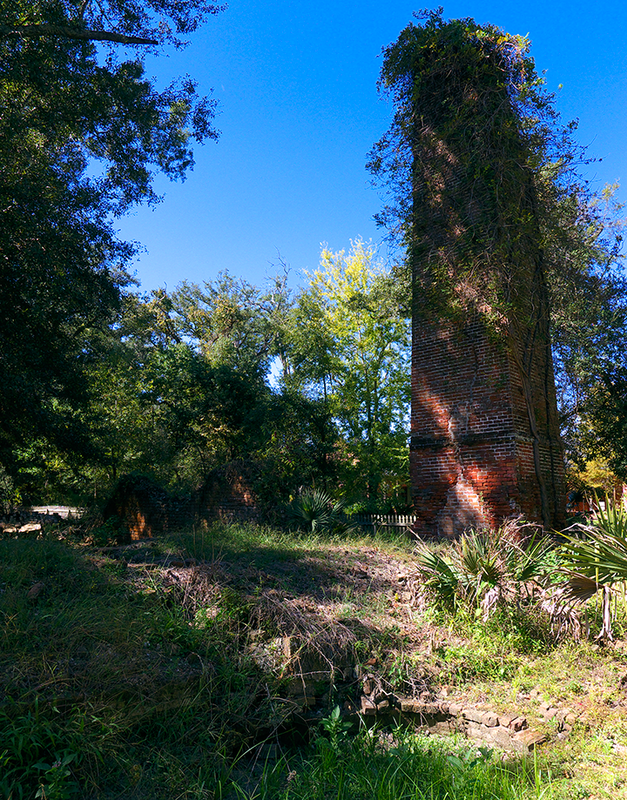 About a third of a mile towards the lake are the ruins of Bernard de Marigny de Mandeville’s sugar mill, which operated from 1829 to 1852. The tall chimneys are slowly crumbling. 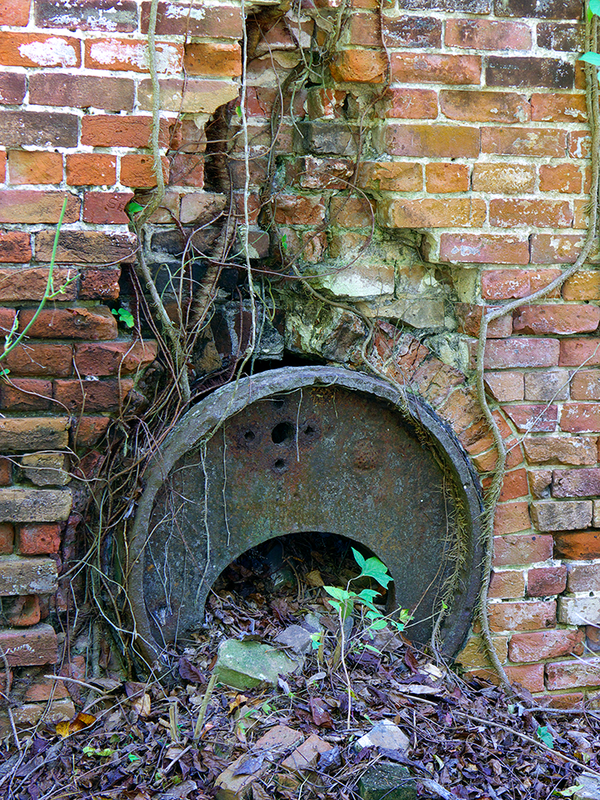 The old boiler rusts away. 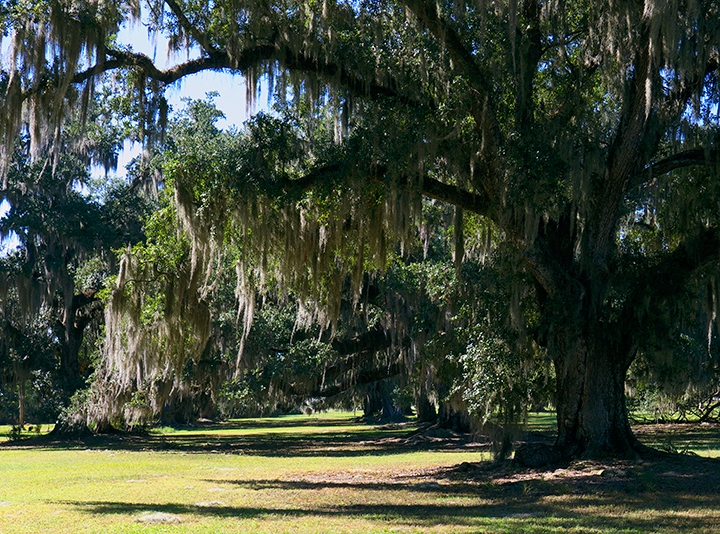 Along the road to the lakefront is a promenade of huge live oaks. Many of the trees are so old their limbs touch the ground. 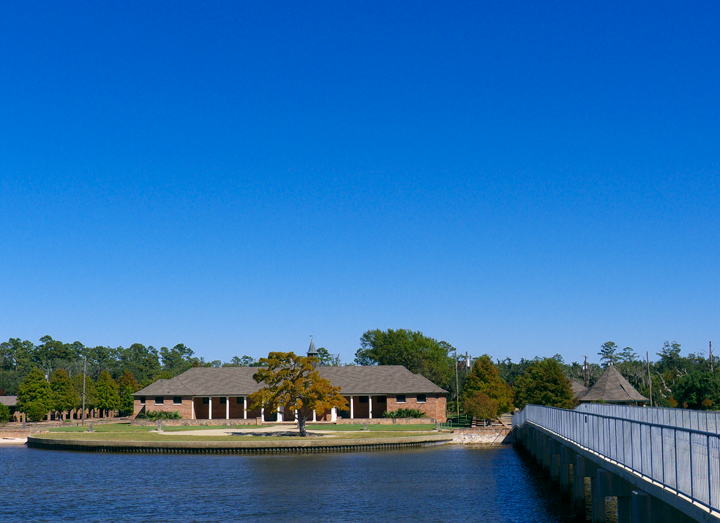 At the lakefront is a pier and pavillion. The beach gives way to cypress swamp.